Adams County Sheriff's Deputy Heath Gumm, 31, had been with the department since 2012. The Adams County Sheriff's Office - and the state of Colorado - lost a devoted public servant the night of January 24, 2018. Deputy Heath Gumm, 31, was shot and killed while searching for a suspect related to an assault call. He is survived by a wife, Natasha. 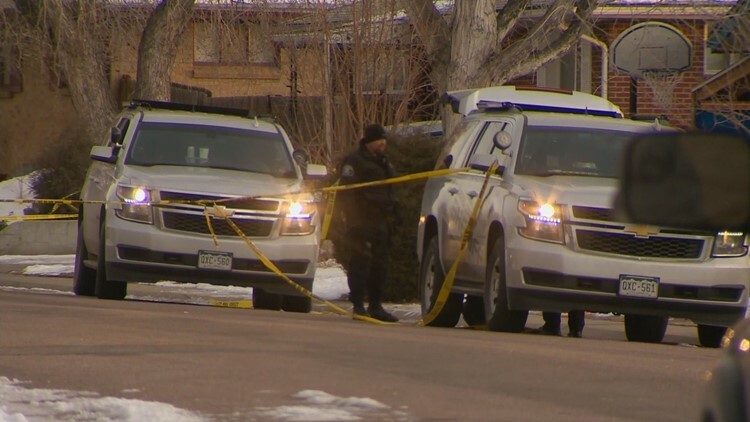 The sheriff's office says it got a call about the assault just before 7 p.m. and responded to the 8700 block of Dawson Street, which is in a neighborhood just east of Interstate 25 and 88th Avenue. When deputies arrived, they learned the assault suspect had left and they began a search for him. When they found someone matching his description, the Adams County Sheriff's Office says he ran from deputies, leading them behind a house. The suspect then turned and fired on them -- hitting one deputy in the chest, the sheriff's office spokesperson said. Gumm was transported to a nearby hospital and pronounced dead shortly after arrival. We are able to confirm the identity of our fallen officer. Deputy Heath Gumm, 31, served honorably beginning in 2012. Gumm was a sheriff's deputy at the Adams County Sheriff's Office since 2012, according to the agency. The sheriff's office says it is praying for the wife and family of the fallen deputy and asks that you keep them in their prayers. The suspect was taken into custody at the scene, according to deputies. Jail records reveal Dreion Martise Dearing, 22, is being held for investigation of first-degree murder and two of counts of first-degree murder of a peace officer at the Adams County Jail. With the progression of this case we are now able to confirm the shooters name and date of birth. Dreion Martise Dearing DOB 10/31/95. We are still not releasing a photo. Dearing had his first advisement in Adams County District Court on Friday. He will be formally charged in court Wednesday at 10 a.m., the district attorney's office said. The sheriff's office held a news conference on Thursday to clarify that despite earlier reports from law enforcement, a pair of suspects is not believed to have had anything to do with the death of Gumm. Those two other people were located and interviewed on Thursday, and have since been released, according to a release Friday morning. McIntosh confirmed during the press conference that Gumm was wearing a bulletproof vest when he was shot. Until they get the results of an autopsy, it's hard to say if it was a vest failure or if the bullets that hit him were in an area not protected by his vest. More than a dozen schools in the Adams County area were closed on Thursday due to the investigation. Anyone with information on the incident should immediately call deputies at 720-322-1313. Watch Wednesday night's entire press conference below. Can't see the video? Click or tap here.